Hilton will not require surgery to address the ankle issue he played through of late, Kevin Bowen of 1070 The Fan Indianapolis reports. Hilton (ankle) caught four of 10 targets for 60 yards and a touchdown in Saturday's 31-13 divisional-round loss to the Chiefs. Despite not practicing this week, Hilton (ankle) does not carry an injury designation for Saturday's divisional-round playoff game against the Chiefs. Analysis: Hilton has practiced just once since Week 15, yet has not missed a game in that span, en route to racking up 19 catches (on 32 targets) for 369 yards over his last four outings. Indy's top wideout takes aim this weekend at a Kansas City defense that allowed an average of 273.4 passing yards per game during the regular season. Only the Bengals allowed more. Hilton (ankle) didn't practice Wednesday, Andrew Walker of the Colts' official site reports. Analysis: Hilton has been dealing with an ankle issue that has greatly limited his practice time since Week 15 of the regular season, but the Colts' top wideout hasn't missed any games since then. 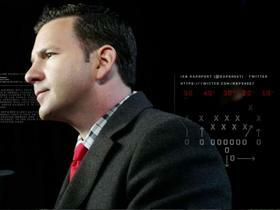 That pattern shouldn't change when it comes to Saturday's divisional-round matchup versus the Chiefs. Hilton didn't participate in Tuesday's walkthrough due to an ankle injury. Analysis: Despite having this particular issue impact him in practice since Week 15 prep, Hilton has suited up in four consecutive contests, compiling 19 catches (on 32 targets) for 369 yards and no touchdowns. For the most part, he's looked like himself on gamedays, but coach Frank Reich and the Colts training staff are taking no chances with Hilton as they prepare for a divisional-round matchup at Kansas City on Saturday. Hilton (ankle) caught five of 10 targets for 85 yards in Saturday's 21-7 playoff win over the Texans. Analysis: Hilton had a busy first half with four receptions and 65 yards, but with the Colts up 21-0 at halftime Andrew Luck had only 10 pass attempts during the second half. Still, it was a solid game for Hilton, who entered the afternoon questionable with the ankle issue. The 29-year-old is without a touchdown since Week 11, but has an appetizing matchup against Kansas City's porous pass defense in the divisional round next week. Hilton (ankle) is listed as active Saturday at Houston, Andrew Walker of the Colts' official site reports. Hilton (ankle) is officially listed as questionable for Saturday's wild-card game against the Texans. Hilton (ankle) didn't practice Thursday, Zak Keefer of The Indianapolis Star reports. Analysis: Practice absences have become the norm of late for Hilton, but there's little doubt that he'll suit up for Saturday's playoff game against the Texans. Look for the wideout to be officially listed as questionable for that contest upon the release of the Colts' final injury report of the week. Hilton (ankle) didn't practice Wednesday, George Bremer of The Anderson Herald Bulletin reports. Analysis: Hilton played 64 of the Colts' 79 offensive snaps in the Week 17 win over the Titans and hauled in two of six targets for 61 yards as Indianapolis captured a playoff spot. There weren't any reports coming out of that contest that Hilton suffered a setback with his ankle, so he's likely just getting some further maintenance time ahead of Saturday's wild-card matchup with the Texans. Hilton (ankle) is listed as a non-participant on Tuesday's estimated injury report. Analysis: Hilton played through his ankle injury with minimal practice participation the past three weeks, catching 14 of 22 targets for 284 yards in that stretch. He should be able to tough it out again for Saturday's wild-card game, but the pain could make it difficult to continue his impressive run of success against Houston. He roasted the Texans for 314 yards in two matchups during the regular season, despite missing the second half of the first meeting (Week 4) with a hamstring injury. Hilton had two catches (six targets) for 61 yards in Sunday's 33-17 win over the Titans. Analysis: Andrew Luck really spread the ball around evenly, connecting with 10 different receivers on the night. Hilton was tied with two other players for the team lead in targets with six. At least the star wideout was able to churn out big gains on his two catches, but this performance was still his worst yardage total since Week 8. Hilton will have a chance to bounce back against the Texans in the wild-card round Saturday. Hilton (ankle) is listed as active for Sunday night's game against the Titans. Analysis: Though Hilton didn't practice this past week, he indicated that he planned to play in Sunday's win-or-go-home regular-season finale, so his active status is not surprising. The wideout has approached the Colts' last three games listed as questionable, only to subsequently suit up and produce at a high level, logging 21 catches for 422 yards on 28 targets in that span. Hilton (ankle), who is listed as questionable for Sunday's game against the Titans, is optimistic he'll be available to play, sources told Ian Rapoport of NFL Network. Hilton (ankle) is listed as questionable for Sunday night's game against the Titans after not practicing this week, Kevin Bowen of 1070 The Fan Indianapolis reports. Analysis: Normally a player going all week without practicing would be enough to deter fantasy players, but Hilton has made it clear that he plans to play in Sunday's win-or-go-home matchup against Tennessee. It's still worth confirming his status in advance of the Colts' 8:20 PM ET kickoff, but Hilton has toughed it out through ankle woes of late and remained productive on gamedays in the process. Expect more of the same Week 17. Hilton (ankle) didn't practice Thursday, Mike Wells of ESPN.com reports. Analysis: Normally back-to-back missed sessions would be alarming, but Hilton has only practiced twice over the past three weeks, yet has been able to work effectively through his ankle issue on game days. Moreover, Hilton indicated Wednesday that he plans to play in Sunday's game against the Titans and we don't doubt him. That said, it's still possible Hilton could be officially listed as questionable for this weekend's win-or-go-home contest. Hilton (ankle) wasn't spotted on the field at Wednesday's practice, George Bremer of The Anderson Herald Bulletin reports. Analysis: Hilton's practice reps have been managed of late, but he's toughed out his ankle woes and remained productive on gamedays while doing so. Per the report, the wideout said he won't sit out Sunday's game against the Titans, a stance that is unsurprising given that an AFC playoff berth is at stake in the contest. Hilton caught seven of eight targets for 138 yards in Sunday's 28-27 win over the Giants. Analysis: Hilton has battled an ankle issue in recent weeks but now has four games of at least 125 yards in his last six. He also has at least 77 yards in each contest since the Colts' Week 9 bye. With a playoff spot on the line, the 29-year-old will be a good bet to continue producing Week 17 against the Titans. Hilton (ankle) is listed as active for Sunday's game against the Giants. 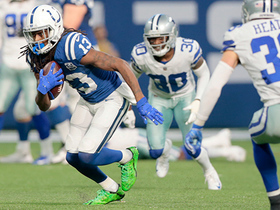 Analysis: After not practicing all week leading up to the Colts' matchup against the Cowboys last Sunday, Hilton suited up and logged 41 snaps (out of a possible 72) on offense, en route to hauling in five of his team-high eight targets for 85 yards. He's still working through his ankle issue, but on an encouraging note, Hilton was able to practice in a limited fashion Friday, which implies progress on that front. Hilton (ankle), who is listed as questionable for Sunday's game against the Giants, remains less than 100 percent healthy but hopes to play through the pain, a source told Ian Rapoport of NFL Network. Hilton (ankle) is listed as questionable for Sunday's game against the Giants. Hilton (ankle) suited up for Friday's practice, Andrew Walker of the Colts' official site reports. Analysis: Hilton didn't participate in the Colts' first two practice sessions of the week, but his presence on the field Friday is a good sign with regards to his Week 16 availability. Hilton was able to play Week 15 against the Cowboys despite not practicing leading up to that contest, so there's certainly reason for his fantasy managers to believe he'll play Sunday against the Giants. His official status will be revealed when the Colts release their final injury report of the week later Friday. Hilton (ankle) didn't practice Thursday. Analysis: Back-to-back missed practices would normally be ominous, but Hilton played in Week 15 despite not practicing leading up to the Colts' win over the Cowboys. We'll revisit Hilton's status Friday to see if he's able to practice in any capacity to close the week, but we'd expect him to be listed as questionable for Sunday's game against the Giants, in any case. Analysis: Hilton's ankle injury flared up during the Week 15 win over the Cowboys and the wideout is unsure if he'll be able to practice this week. That said, Hilton was able to tough things out against Dallas after not practicing leading up to that contest. Even if Hilton is unable to log any activity leading up to Sunday's tilt against the Giants, it's still quite plausible that he could suit up and see his usual allotment of snaps. Hilton, who noted Wednesday that he "made (his) ankle mad" during the Week 15 win over the Cowboys, isn't sure if he'll practice this week, Zak Keefer of The Indianapolis Star reports. Analysis: Viewed as a game-time decision heading into Sunday's 23-0 victory, Hilton gained clearance for the contest and played 41 offensive snaps en route to hauling in five of his team-high eight targets for 85 yards. 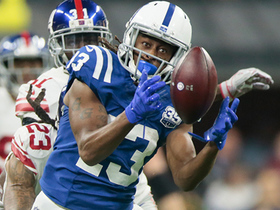 With the Colts sitting at 8-6 and in must-win mode the rest of the way, Hilton will likely continue to tough things out this weekend against the Giants. In such a scenario, there's a chance that he'll play without practicing beforehand for the second straight week. Hilton (ankle) caught five of eight targets for 85 yards during Sunday's 23-0 win over the Cowboys. Analysis: Hilton led the team in targets, catches and receiving yards, topping 75 in the latter category for the sixth straight game. He nearly scored an early touchdown, only to see the ball skim off his fingertips. Hilton also contributed one of his trademark big plays, racing past the defense for a sliding 37-yard gain at one point. The speedster shrugged off an ankle injury coming into the game and didn't look hampered, so he'll presumably be at or near full strength in Week 16 against the Giants. Hilton (ankle) is active for Sunday's game against Dallas. Analysis: Hilton did not practice all week, so there's some risk he could have a setback during the game. However, while managing the same injury ahead of the Colts' Week 14 win over the Texans, Hilton didn't practice leading up to the contest but looked no worse for the wear once gameday arrived, as he hauled in nine of 12 targets for a season-high 199 yards. Hilton (ankle), who is listed as questionable for Sunday's contest against the Cowboys, will be a game-time decision, a source told Ian Rapoport of NFL Network. Hilton (ankle) will be listed as questionable for Sunday's game against the Cowboys after not practicing again Friday, Mike Chappell of Fox 59 News Indianapolis reports. Hilton (ankle) was not spotted at Friday's practice, Zak Keefer of The Indianapolis Star reports. Hilton (ankle) didn't practice Thursday, George Bremer of The Anderson Herald Bulletin reports. Hilton didn't practice Wednesday due to an ankle issue. Hilton caught nine of 12 targets for 199 yards in Sunday's 24-21 over the Texans. Analysis: Hilton came half a yard shy of accounting for half his team's receiving yards on the day. The only downside was he was unable to find the end zone, although he came close in the second quarter when he hauled in a 60-yard pass to set up a four-yard Marlon Mack touchdown on the next play. While the 29-year-old was a bit banged up with a shoulder issue coming into the game, he showed he was quite healthy and now faces yet another tough matchup at home Week 15 against Dallas. Hilton (shoulder) is listed as active for Sunday's game against the Texans. Analysis: Hilton, who missed practiced Wednesday and Thursday, returned to a limited session Friday and will now give it a go in game of great import to the playoff hopes of the 6-6 Colts. Assuming no setbacks Sunday, Hilton will continue to head his team's wideout corps, an assignment that has yielded 24 catches (on 32 targets) 357 yards and two TDs over his last three games. Hilton (shoulder), who is listed as questionable for Sunday's game against the Texans, is slated to play, a source tells Adam Schefter of ESPN. Hilton (shoulder), who is listed as questionable for Sunday's contest against the Texans, is being viewed as a game-time decision, Ian Rapoport of NFL Network reports. Hilton (shoulder) is listed as questionable for Sunday's game in Houston. Coach Frank Reich said he is cautiously optimistic Hilton (shoulder) will play Sunday in Houston, Mike Chappell of Fox 59 News Indianapolis reports. Hilton (shoulder) took part in Friday's practice, Andrew Walker of the Colts' official site reports. Analysis: It won't be clear how much work Hilton got in until after practice comes to a close, but his presence alone is a good sign after he sat out the previous two days. His status for Week 14 will be revealed when the Colts' final injury report is released later Friday. Hilton (shoulder) wasn't spotted at practice Thursday, Kevin Bowen of 1070 The Fan Indianapolis reports. Analysis: Back-to-back absences to start the practice week makes what Hilton is able to do Friday crucial with regard to his availability for Sunday's game against the Texans. Fellow wideout Dontrelle Inman is also dealing with a shoulder issue, so at this stage the composition of the Colts' Week 14 wideout corps is a bit unsettled. Hilton was withheld from Wednesday's practice due to a shoulder issue. Analysis: It's a new injury for Hilton, who missed one practice a week ago due to a groin concern. The Colts may have just given Hilton a day off more maintenance purposes more than anything, a notion that would be supported by his return to practice Thursday in any capacity. Per Kevin Bowen of 1070 The Fan Indianapolis, Hilton fell on his right shoulder late in the fourth quarter of Sunday's 6-0 loss to the Jaguars and missed one play before returning. Hilton wasn't spotted at practice Wednesday, Kevin Bowen of 1070 The Fan Indianapolis reports. Analysis: It remains to be seen if the Colts assign the wideout an injury designation or if he's simply being rested. Last Wednesday, Hilton sat out practice due to a listed groin injury, but he returned to practice Thursday and was subsequently removed from the team's Week 13 injury report. A similar progression seems likely in advance of Sunday's game against the Texans. Hilton hauled in eight of 13 targets for 77 yards in Sunday's 6-0 loss to the Jaguars. Analysis: Hilton did well against Jacksonville's star-studded secondary, even though his team failed to get on the scoreboard. He went down clutching his shoulder after one of his catches, but he was able to remain in the game. The speedster will face the Texans in Week 14 -- a team that he burned for 115 yards on four catches in their first meeting this season. Hilton (groin) doesn't carry an injury designation for Sunday's game against the Jaguars. Analysis: Though the Colts limited Hilton's practice reps Thursday and Friday, his Week 13 status apparently isn't in any question. The team's top wideout been highly productive of late with 16 catches (on 19 targets) for 280 yards and a pair of touchdowns over the past two contests. He'll take aim Sunday at a Jacksonville squad in the midst of a seven-game slide and in danger of not having star cornerback Jalen Ramsey (knee) available, per John Oehser of the Jaguars' official site. Hilton (groin) was a limited participant in Thursday's practice. Analysis: The activity amounts to a step in the right direction for the wideout, who was withheld from Wednesday's practice. If Hilton returns to full participation in the Colts' final session of the week Friday, he should avoid an injury designation heading into Sunday's game against the Jaguars, who could be without top cornerback Jalen Ramsey (knee). Hilton (groin) returned to practice Thursday, Kevin Bowen of 1070 The Fan Indianapolis reports. Analysis: We'll have to see if he was limited or practiced fully, but Hilton's presence at practice Thursday puts him on track to suit up Sunday against the Jaguars. Hilton didn't practice Wednesday due to a groin injury. Analysis: This is a new issue for Hilton, though at this stage it's unclear if it's simply a minor matter that the Colts are managing throughout the week or something that might jeopardize his availability for Sunday's game against the Jaguars. A return to practice Thursday -- in any capacity -- would no doubt ease concerns about Hilton's chances of playing in Week 13. Hilton wasn't spotted on the field during the media-access portion of Wednesday's practice, Andrew Walker of the Colts' official site reports. Analysis: Hilton played 60 of the Colts' 69 offensive snaps in the team's Week 12 win over the Dolphins and came out of the contest with no reported injury. It's quite possible that the wideout is simply getting a day of rest Wednesday, but more clarity on that front should come later in the day when the Colts release their first injury report of Week 13. Hilton caught seven of 10 targets for 125 yards during Sunday's 27-24 win over the Dolphins. Analysis: Hilton led the team in targets, catches and receiving yards as he topped the 100-yard mark for the third time this season. He broke off a long gain of 36 yards as he averaged a healthy 17.9 yards per catch. Hilton has caught fire over three games since the team's bye, totaling 19 catches for 357 yards and two touchdowns during that time. He'll look to keep it going next Sunday against the Jaguars. Hilton caught all nine of his targets for 155 yards and two touchdowns during Sunday's 38-10 win over the Titans. Hilton caught three of seven targets for 77 yards during Sunday's 29-26 win over the Jaguars. Analysis: Hilton drew plenty of attention from the talented Jacksonville secondary, but he made his catches count by breaking off a couple of 35-yard gains. The speedster has had a bit of a down season by his standards, so this yardage output actually ranks as one of his best of the campaign. Hilton does continue to draw plenty of looks from an in-form Andrew Luck, however, so he'll hope to put on a breakout performance next Sunday against the Titans. Hilton pulled in just one of five targets for 34 yards in Sunday's 42-28 win over Oakland. Analysis: Hilton's owners can't be happy with this quiet performance, especially when the rest of the Indianapolis offense thrived. The speedster still miht be bothered by the hamstring injury that forced him to miss two games earlier this season, but a Week 9 bye should allow Hilton to get healthier. Hilton caught all four of his targets for 25 yards and a pair of touchdowns in Sunday's 37-5 win over Buffalo. Analysis: Hilton was taken off the injury report after missing the past two weeks with a hamstring injury, and the speedy receiver looked back to his old self in this one. He caught a five-yard touchdown late in the second quarter and added a one-yard score early in the fourth. Expect Hilton's yardage to ramp up against the Raiders in Week 8, as Indianapolis' passing game will likely see an uptick in volume compared to this blowout win. Hilton (hamstring) doesn't carry an injury designation into Sunday's game against the Bills. Analysis: After practicing fully Wednesday, Hilton dialed things back some Thursday. Though he returned to practice Friday and isn't a lock to play Sunday, he appears to be trending in the right direction after missing the Colts' last two contests. Fortunately for those looking to use the wideout in Week 7 lineups, the Colts kick off at 1 p.m. EDT on Sunday. Hilton (hamstring) is participating in practice Friday, Zak Keefer of The Indianapolis Star reports. Analysis: Hilton returned to practice Wednesday as a full participant, then scaled back to limited status Thursday as part of a plan to gear up for Sunday's game against the Bills. He seems to be on track to play following a two-game absence, but he'll likely be listed as questionable when the Colts release their final injury report later Friday. Hilton (hamstring) was limited at practice Thursday, Kevin Bowen of 1070 The Fan Indianapolis reports. Hilton (hamstring) was listed as a full practice participant Wednesday, Kevin Bowen of 1070 The Fan Indianapolis reports. Analysis: According to Bowen, Hilton appeared to be moving around without any major hassle Wednesday, and his listed participation level puts him on track to suit up Sunday against the Bills, barring any setbacks in the Colts' next two practices. If available for his normal allotment of snaps, Hilton will once again profile as quarterback Andrew Luck's top wideout target, a role that translated to double-digit targets in his three full games this season. Hilton plans to test out his hamstring at Wednesday's practice, George Bremer of The Anderson Herald Bulletin reports. Analysis: That's a step in the right direction, and how well Hilton's hamstring responds to Wednesday's workout will no doubt tilt his chances of playing Sunday against the Bills in one direction or the other. Though Hilton has missed the Colts' last two games, he still tops the team's wideout corps with 294 receiving yards (on 21 catches) to go along with a pair of scores over his four appearances. Hilton (hamstring) has been ruled out for Sunday's game against the Jets, Kevin Bowen of 1070 The Fan Indianapolis reports. Analysis: With Hilton still sidelined, Chester Rogers, Ryan Grant and Zach Pascal are once again in line to head the Colts' wideout corps Week 6. Hilton (hamstring) was not spotted at Friday's practice, according to Andrew Walker of the Colts' official site. Analysis: Hilton could still get some work in behind the scenes Friday, but he is not expected to play Sunday against the Jets. His presumed absence at Friday's session moves the needle closer to him being ruled out. Hilton (chest/hamstring) wasn't spotted at practice Thursday, Kevin Bowen of 1070 The Fan Indianapolis reports. Analysis: Hilton is trending toward being out Sunday against the Jets, though we'll have to wait until the release of Friday's final injury report to cement that notion. In such a scenario, Chester Rogers, Ryan Grant and Zach Pascal would head the Colts' Week 6 wideout corps. Hilton (chest/hamstring) isn't expected to play Sunday against the Jets on Sunday, Mike Wells of ESPN.com reports. Analysis: Coach Frank Reich referred to Hilton's injury status as "week-to- week" when he spoke to the press Wednesday. Subsequently, Hilton didn't practice and thus appears to be trending toward an inactive status for the second straight week. Chester Rogers, Ryan Grant and Zach Pascal are likely to draw most of the snaps in three-wideout sets if Hilton is sidelined again. Coach Frank Reich labeled Hilton (hamstring) as week-to-week when he met with the media Wednesday, Kevin Bowen of 1070 The Fan Indianapolis reports. Analysis: While the wideout hasn't been ruled out for Sunday's game against the Jets, Reich's wording suggests Hilton isn't expected to be available, per Mike Wells of ESPN.com. If Hilton does in fact miss another game, Chester Rogers, Ryan Grant and Zach Pascal would once again head the Colts' wideout corps. Hilton (chest/hamstring) isn't on the field for Monday's light workout, Zak Keefer of The Indianapolis Star reports. Hilton (chest/hamstring) has been ruled out for Thursday's game against the Patriots, Stephen Holder of The Athletic reports. Analysis: The short week did Hilton no favors after he suffered a pair of injuries in Sunday's 37-34 overtime loss to the Texans. As a result, he'll miss his first game of the season, pressing Chester Rogers, Ryan Grant and Zach Pascal into expanded roles in the Colts' passing game. Hilton (chest, hamstring) did not participate in Tuesday's practice. Analysis: The Colts only had a walkthrough Tuesday, so Hilton's "DNP" is technically an estimation of his participation, but it doesn't appear he is on track to play on the short week with the wideout sidelined for the second straight day. Hilton will have to at least put together a limited session Wednesday to have any chance of suiting up for Thursday's game against the Patriots, and if he is inactive, Chester Rogers, Ryan Grant and Zach Pascal would all be in line for extended roles. Hilton (chest, hamstring) is trending toward inactive status for Thursday's game at New England, Kevin Bowen of 1070 The Fan Indianapolis reports. Hilton (chest, hamstring) is listed as a non-participant on the Monday injury report for Thursday's game against the Patriots. Analysis: Hilton returned from a chest injury in the first half of Sunday's loss to the Texans, but he later hurt his hamstring and was unable to make it back from that one. Coach Frank Reich has already expressed doubt about Hilton's chances of avoiding an absence with the team on a short week ahead of a Thursday game. The Colts didn't actually practice Monday, instead holding a walk-through after losing in overtime a day earlier. Hilton (chest/hamstring) was "moving very gingerly in the locker room" after Sunday's overtime loss to the Texans, Zak Keefer of The Indianapolis Star reports. Analysis: Meanwhile, Stephen Holder of The Athletic adds that Hilton "is in some real pain," while relaying that the wideout suggested it could be close in terms of playing Thursday night against the Patriots. Hilton's hopefulness aside, the quick turnaround this week doesn't favor his chances of playing Week 5, something coach Frank Reich has already acknowledged. If Hilton can't go, added looks in the Indy offense will be available for Chester Rogers, Ryan Grant and Zach Pascal. Following Sunday's overtime loss to the Texans, coach Frank Reich acknowledged concern regarding the status of Hilton (hamstring) for Thursday night's game against the Patriots, Kevin Bowen of 1070 The Fan Indianapolis reports. Analysis: The quick turnaround does not favor Hilton's chances of playing in Week 5, and if the wideout is sidelined Thursday, the Colts' top wideouts for the contest would be Chester Rogers, Ryan Grant and Zach Pascal. Hilton was forced out of Sunday's game against the Texans with a hamstring injury, Kevin Bowen of 1070 The Fan Indianapolis reports. Analysis: Hilton previously exited the contest with a chest injury but was able to return. He logged four catches on six targets for 115 yards when he was on the field. With the Colts approaching a short week in advance of Thursday's game against the Patriots, Hilton's status will be worth monitoring in the coming days. Hilton (chest) returned to Sunday's game against the Texans. Analysis: Great news for the Colts after the wideout was forced to the locker room to have his injury checked out. Assuming no setbacks, Hilton should reclaim his role as the team's top wide receiver for the rest of Sunday's game. Hilton was forced out of Sunday's game against the Texans with a chest injury. 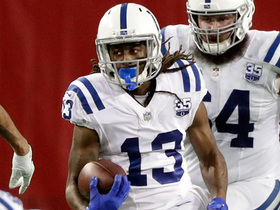 Analysis: At first glance it appeared as though the wideout may have hurt his shoulder, but the Colts' officially list Hilton's injury as a chest issue. As long as Hilton is sidelined, added snaps will free up for Ryan Grant, Chester Rogers and Zach Pascal. Hilton exited midway through the Colts' first drive of Sunday's game against the Texans after falling hard on his shoulder, George Bremer of The Anderson Herald Bulletin reports. Analysis: After reeling in a 40-yard reception, Hilton took a spill on the turf and appeared to be in a good deal of pain. Per Aaron Wilson of the Houston Chronicle, Hilton was able to walk off the field under his own power, though he immediately went to the locker room with trainers after heading to the sideline, according to Bremer. The Colts should provide an update on Hilton's status prior to the second half, if not sooner. Hilton was targeted 10 times during Sunday's 20-16 loss in Philadelphia and came away with five catches for 50 yards. Hilton (quadriceps) doesn't have a designation for Sunday's game in Philadelphia. Analysis: Hilton was held out of practice both Wednesday and Thursday as he tended to a quad injury, but Friday yielded full participation for the veteran wide receiver. Consequently, he'll be available to Andrew Luck against an Eagles pass defense that has allowed 309 yards per game through two contests this season. Hilton (quad) was spotted at Friday's practice, Mike Chappell of Fox 59 News Indianapolis reports. Analysis: We'll circle back on the wideout's status once his level of practice participation and Week 3 injury designation are clarified, but his presence on the field Friday does bode well for his chances of playing Sunday against the Eagles. Hilton (quad) was not spotted at Thursday's practice, Kevin Bowen of 1070 The Fan Indianapolis reports. Analysis: Normally, back-to-back absences to start the practice week would be concerning, but Hilton has downplayed his quad issue, per Kevin Patra of NFL.com. "I'm feeling good. I'm still getting there. I should be fine. Nothing to worry about," Hilton noted Thursday. We'll revisit the wideout's status no later than Friday and as long as he practices in some capacity to close the week, we'd expect Hilton to be a go Sunday against the Eagles. Hilton, who didn't participate in Wednesday's practice, said that he was rested mainly for precautionary purposes rather than out of any major concern for his quadriceps injury, Kevin Patra of NFL.com reports. "I'm feeling good. I'm still getting there. I should be fine," Hilton said in an interview Thursday on NFL Network's "Good Morning Football." Analysis: If Hilton picked up the quad injury in the Colts' Week 2 win over the Redskins, it didn't seem to impact him at all, as he finished the contest with seven catches on 11 targets for 83 yards and a touchdown. Assuming Hilton is able to get back on the field in some capacity Thursday or Friday, his availability for Sunday's game in Philadelphia won't be in much peril. Hilton didn't practice Wednesday due to a quadriceps injury, Andrew Walker of the Colts' official site reports. Analysis: Hilton wasn't believed to have suffered an injury in the Week 2 win over the Redskins, but it appears his status will nonetheless be one to monitor as Sunday's game against the Eagles approaches. Two weeks into the season, the wideout has logged back-to-back 11-target outings while serving as quarterback Andrew Luck's favorite receiver. Hilton caught seven of 11 targets for 83 yards and a touchdown in Sunday's 21-9 win over the Redskins. Analysis: Hilton racked up 71 yards on five catches in the first half, but his most important reception was a three-yard touchdown in the fourth quarter. Nobody's benefited more from quarterback Andrew Luck's return than Hilton, who has found the end zone in both games this season. Hilton turned 11 targets into five catches for 46 yards and a touchdown in Sunday's season-opening 34-23 loss to the Bengals. Analysis: Hilton's five-yard touchdown gave Indianapolis a 23-10 lead with 8:13 remaining in the third quarter, but it was all Bengals after that. The speedy wide receiver was one of four Colts to draw at least nine targets from Andrew Luck, who was asked to throw it 53 times with the ground game struggling. With Luck back under center, Hilton's heavy workload should translate into excellent results. Hilton (shoulder) caught two of three targets for 17 yards during Saturday's 23-17 preseason win over the 49ers. Hilton (shoulder) may sit out Saturday's preseason game against the 49ers as a precautionary measure, Zak Keefer of The Indianapolis Star reports. Analysis: After missing Monday's preseason loss to the Ravens due to a minor shoulder sprain, Hilton returned to practice Wednesday with time to spare before the next exhibition contest. It still won't come as any surprise if he's held out, given that he already got some work with Andrew Luck in the first week of the preseason, catching one of four targets for eight yards against Seattle. It sounds like the 28-year-old wideout would be able to play if the Colts had a regular-season game this weekend. Hilton (shoulder) was spotted at practice Wednesday, Kevin Bowen of 1070 The Fan Indianapolis reports. Analysis: Hilton didn't play in Monday's preseason game against the Ravens, but his presence on the practice field Wednesday suggests that his shoulder injury was minor and that he was held out mostly as a precaution. There's little concern with regard to Hilton's Week 1 availability, but the wideout's fantasy upside this season is largely tied to how well his on-field reunion with Andrew Luck goes after the franchise quarterback missed last season with a lingering shoulder injury. Hilton (shoulder) did not end up playing in Monday's preseason game against the Ravens. Analysis: Hilton's availability for Monday's game was left unclear leading up to kickoff, but the Colts ultimately decided to play it safe and have him watch from the sidelines while he continues to recover from a sprained left shoulder. Updating a previous report, it's uncertain as to whether Hilton (shoulder) will play in Monday's preseason game against the Ravens, Zak Keefer of The Indianapolis Star reports. 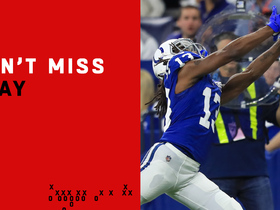 Analysis: On the plus side, that Hilton was not on the Colts "not expected play" list seems to be a good sign, but it does not ensure that the wideout will see game action Monday. Hilton (shoulder) is taking the field for Monday's preseason contest against the Ravens, Zak Keefer of The Indianapolis Star reports. Analysis: There was some question about Hilton's availability after he was seen icing his shoulder at practice Saturday. Coach Frank Reich later clarified the nature of the injury, calling it a sprained shoulder. That said, it isn't severe enough to hold Hilton out of the Colts' second exhibition. his second chance to continue rebuilding his chemistry with Andrew Luck. Coach Frank Reich confirmed Hilton is dealing with a sprained shoulder, Andrew Walker of the Colts' official site reports. Analysis: In the Colts' final practice prior to Monday's preseason game against the Ravens, Hilton was icing his left shoulder, per Walker. Reich later confirmed the nature of the injury, which likely will threaten his availability for the upcoming contest. Hilton doesn't need many reps with Andrew Luck to get reacquainted with the quarterback, but the wide receiver's health is nonetheless something to watch moving forward. Hilton was seen icing his shoulder at Saturday's practice, Andrew Walker of the Colts' official site reports. Analysis: Hilton exited practice early in order to remove his pads and ice his shoulders. The severity of the issue is not known at this time, but expect an update once the Colts provide more clarity on the situation. Hilton secured one of four targets for eight yards in the Colts' 19-17 preseason win over the Seahawks on Thursday. Hilton and quarterback Andrew Luck are showing strong chemistry at training camp, George Bremer of The Anderson Herald Bulletin reports. Hilton believes he's in the best shape of his career after cutting fast food completely out of his diet in the offseason, Zak Keefer of The Indianapolis Star reports. Hilton had three receptions for 14 yards on six targets in Sunday's win over Houston. Analysis: Hilton continued his boom-or-bust season as he had four games of 100 yards or more receiving, and eight games of 30 yards or less. He had a big decline in production without Andrew Luck as his 57 receptions and 966 yards receiving were the lowest since his rookie season in 2012. His four touchdowns were a career low. No player may get a bigger boost if Andrew Luck is able to return in 2018. Hilton snagged six of 12 targets for 100 yards during Saturday's 23-16 loss to the Ravens. 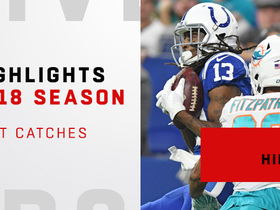 Analysis: The 12 targets were three more than Hilton's previous season high and snapped a season-long five straight games without a 100-yard performance. It's been a tough season for Hilton as he has not had the benefit of nabbing passes from Andrew Luck, but his 17.6 yards per catch represent a career high and ranks third in the league among qualified pass catchers. He wraps up the season against a Houston team that he torched for 175 yards and two scores in Week 9. Hilton brought in five of seven targets for 41 yards and fumbled once in Thursday's 25-13 loss to the Broncos. Hilton caught two of four targets for 20 yards in Sunday's 13-7 loss to the Bills. Hilton caught three of six targets for 51 yards and a touchdown in Sunday's 30-10 loss to Jacksonville. Analysis: Hilton got loose for a 40-yard score on fourth-and-two in the third quarter to reduce his team's deficit to two touchdowns. His ability to pull off big plays in even the most difficult matchups makes Hilton difficult to bench, but he's been frustrating to own with fewer than 60 receiving yards in all but three games this season. Hilton contributed just two catches for 15 yards on five targets in Sunday's 20-16 loss to the Titans. Hilton (groin) brought in two of four targets for 23 yards in Sunday's 20-17 loss to the Steelers. Hilton (groin) is active for Sunday's game against Pittsburgh, Kevin Bowen of 1070 The Fan Indianapolis reports. Analysis: Hilton was limited during the practice week because of the injury, but it looks like he'll be good to go for Sunday's game. 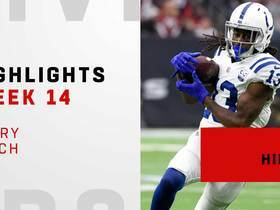 The speedy wideout has been an integral part of the Colts' three victories on the season with 168.3 receiving yards in those contests, but he's sputtered to just 32.8 yards per game in the team's six losses. Hilton (groin) will be a game-time decision for Sunday's matchup with the Steelers, but the Colts are optimistic that he'll be able to play, a source informed Ian Rapoport of NFL Network reports. Hilton (groin) is expected to play Sunday against the Steelers, per a source, Adam Schefter of ESPN reports. Analysis: Hilton was limited during the practice week because of the injury, but will suit up for Sunday's 1:00 PM EDT kickoff. The speedy wideout has become the Colts' bellwether. He's averaging 168.3 yards receiving in Indianapolis' three wins while just 32.8 yards receiving in the team's six losses. Hilton (groin) is listed as questionable for Sunday's game against the Steelers after practicing in a limited fashion both Thursday and Friday. Analysis: That Hilton was able to practice in some capacity to close the week offers hope that he'll suit up Sunday, but his status is still worth monitoring in advance of the Colts' 1:00 PM EDT kickoff, given that the wideout is one of just four players the team lists on its final Week 10 injury report. Hilton (groin) suited up for Friday's practice, Kevin Bowen of 1070 The Fan Indianapolis reports. Analysis: Hilton was added to the injury report Thursday due to his groin injury, but he was still able to get in a limited practice, and it appears he will do at least the same Friday. Hilton's status for Week 10 will be revealed at some point after Friday's practice comes to a close. Hilton (groin) was limited at practice Thursday. Analysis: With Hilton being an addition to the Colts' injury report Thursday, the wideout's status will now need to be monitored as Sunday's game against the Steelers approaches. Hilton is coming off his most productive game of the 2017 season, having caught five of nine targets for 175 yards and two touchdowns in a Week 9 win over the Texans. Hilton caught five of nine targets for 175 yards and two touchdowns in Sunday's 20-14 win over Houston. 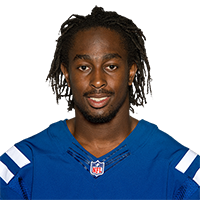 Colts coach Chuck Pagano said Wednesday that the team needs to find ways to get Hilton the ball, Mike Chappell of of CBS 4 News Indianapolis reports. Watch Indianapolis Colts wide receiver T.Y. Hilton's best catches in the 2018 season. Indianapolis Colts wide receiver T.Y. Hilton is off to the races on 43-yard catch and run. Take a look at the best catches from around the NFL in Week 16. Indianapolis Colts quarterback Andrew Luck connects with wide receiver T.Y. Hilton for an impressive 25-yard pickup. 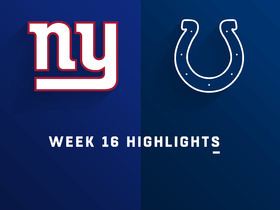 Watch complete highlights from the Week 16 matchup between the New York Giants and Indianapolis Colts. Indianapolis Colts wide receiver T.Y. Hilton gets behind the New York Giants' defense for a 55-yard reception. The "NFL Fantasy Live" crew respond to several submitted questions regarding who to start and sit for Week 16. Indianapolis Colts quarterback Andrew Luck passes to wide receiver T.Y. Hilton for 37 yards. 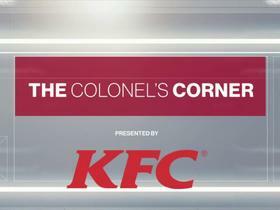 NFL Network Insider Ian Rapoport has the latest on Buffalo Bills running back LeSean McCoy and Indianapolis Colts wide receiver T.Y. Hilton's status for Week 15. Watch the highlights from Indianapolis Colts wide receiver T.Y. Hilton during his Week 14 victory against the Houston Texans.